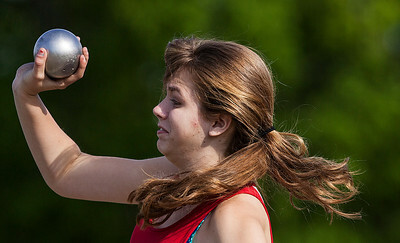 Kyle Grillot - kgrillot@shawmedia.com Marian Central's Alyssa Dowell competes in the shot put event during the Class 2A Woodstock sectional Thursday, May 15, 2014. 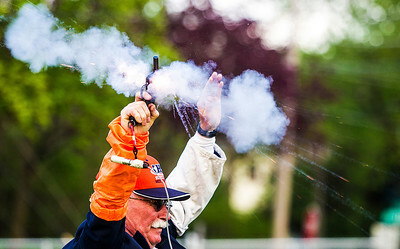 Kyle Grillot - kgrillot@shawmedia.com Hampshire's Elizabeth Pagan (right and Richmond-Burton's K.C. 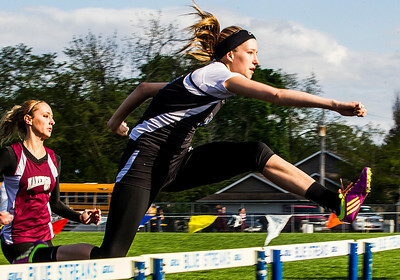 Davids compete during the 100-meter prelim during the Class 2A Woodstock sectional Thursday, May 15, 2014. 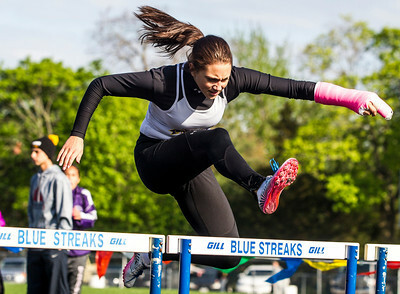 Kyle Grillot - kgrillot@shawmedia.com Hampshire's Angelina Arcuri competes in the 100-meter hurdles prelim during the sectional in Woodstock. 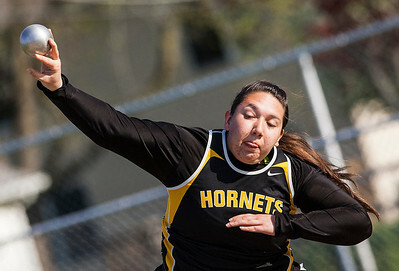 Kyle Grillot - kgrillot@shawmedia.com Harvard's Cheyenne Slavin Hall competes in the shot put event during the Class 2A Woodstock sectional Thursday, May 15, 2014. 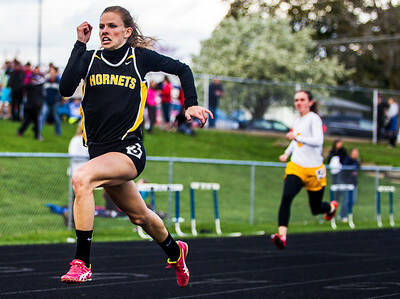 Kyle Grillot - kgrillot@shawmedia.com Harvard's Sophie Stricker competes in the 200-meter dash prelim during the Class 2A Woodstock sectional Thursday, May 15, 2014. 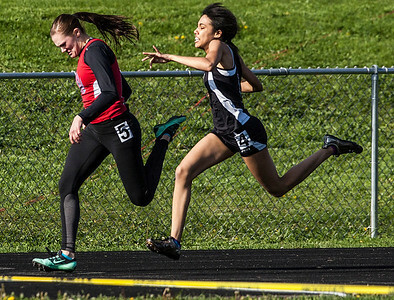 Kyle Grillot - kgrillot@shawmedia.com Marian Central's Brenna Koch and Woodstock's Brianna Verbeek race to the finish during a 100-meter prelim during the Class 2A Woodstock sectional Thursday, May 15, 2014. 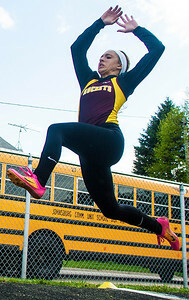 Kyle Grillot - kgrillot@shawmedia.com Richmond-Burton's Emma Fionda competes in the long jump event during the Class 2A Woodstock sectional Thursday, May 15, 2014. 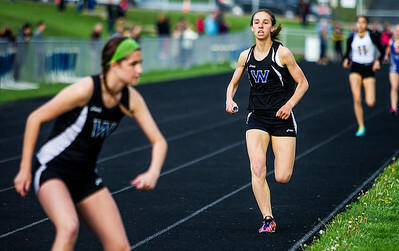 Kyle Grillot - kgrillot@shawmedia.com Woodstock's Maura Beattie (right) runs to hand off the baton to her teammate during the 800-meter relays event during the Class 2A Woodstock sectional Thursday, May 15, 2014. 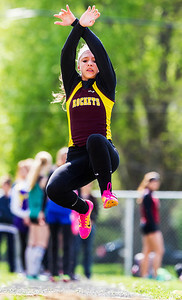 Richmond-Burton's Emma Fionda competes in the long jump event during the Class 2A Woodstock sectional Thursday, May 15, 2014.